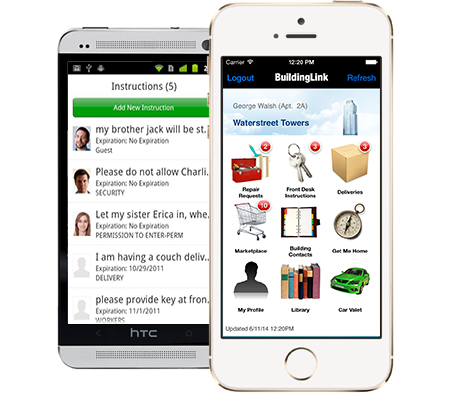 BuildingLink’s Resident App is now available for FREE (download it from the Apple store or the Android Market) and based on initial reviews, it is a smashing success! This powerhouse App for residents is both practical and fun. Use your iPhone/Android Phone to easily view or update your front desk instructions, repair requests, or marketplace postings, and include photos of items for sale or allowed visitors. And if you find yourself lost in unfamiliar environs, the “Get Me Home” button is your lifeline, automatically calculating your current location and giving you directions (walking, bus, or driving) back to the safety of your building and your welcoming front desk staff. Download it today and take your great resident experience with you.